Cold weather can be hard on electronics. The cold shortens battery life which is no good for critical gear like GPS or cell phones. 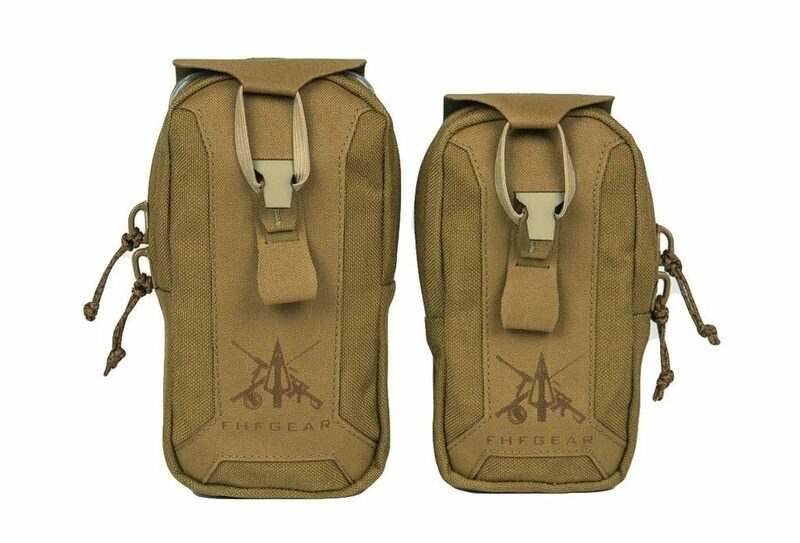 FHF Gear’s new Tech Pouches are built with this reality in mind. These pouches have two features that help protect and preserve electronics during backcountry travel. First, they are insulated. This helps keep the cold out an the warm in (more on this in a moment). It also protects from impacts. Second, these pouches have a hand warmer pocket (chemical or electronic) that warms the contents of the pouch. The pouch is constructed from 500D Cordura with laser cut Dyneema backing. The backer is MOLLE compatible and can be set up for belt carry. The Tech Pouch is available in two sizes – Standard (phones up to 6.4 x 3.25″) and Plus (phones up to 7 x 3.5″).